In honor of yesterday being the first day of Spring, I decided to round up 10 of my favorite outfits from last spring! Not all of these exact items are available anymore, but I linked similar ones. This was my Easter dress last year. You can never go wrong with black and white! The pink stripe adds a fun touch. I think every girl needs a bright colored handbag. I LOVE my Kate Spade one! I liked a similar one above! 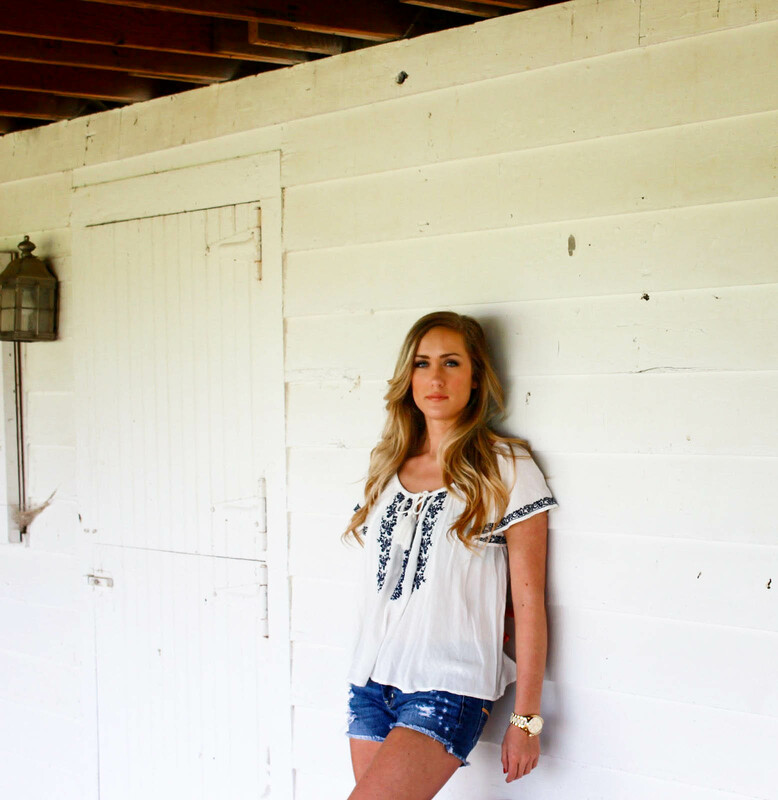 Tops like this are some of my go-tos during spring and summer! They are easy to just throw on and they keep you cool in the summer months! I am really loving this embroidered top! This is just a classic and easy outfit for spring! The shoes I am wearing are my favorite black heels I own! They are BCBG from a few years back, I linked some Jessica Simpson ones that are pretty similar above! I love wearing bright colors on the spring! (who doesn't?!) This top is from a boutique but Nordstrom has a similar one I have linked above. I love anything with a floral print for spring and summer! 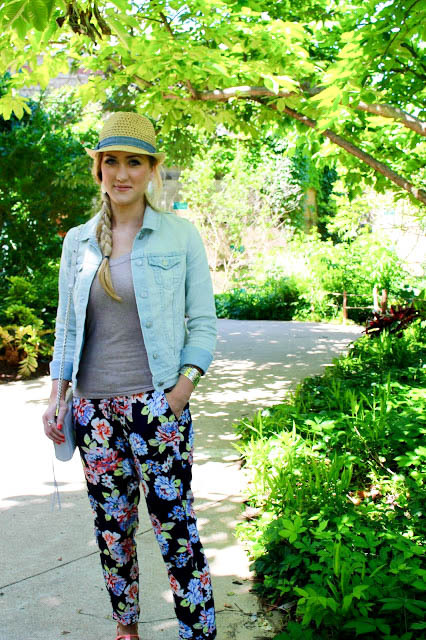 I got theses pants from Old Navy last spring and I wore them sooooo much! They are really comfortable too! 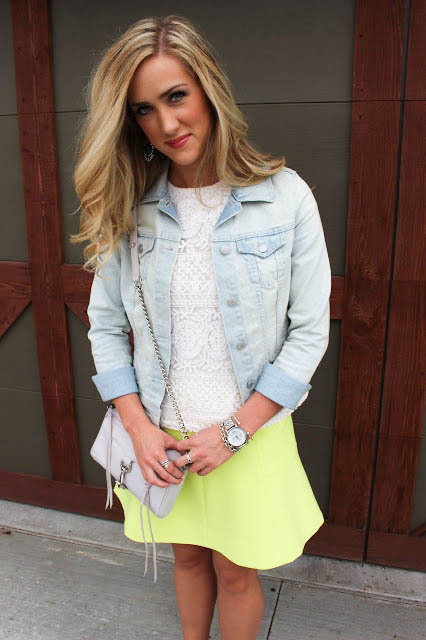 A pop of neon never hurts! The skirt I am wearing is from J Crew Factory last spring, but I found a similar one I have linked above! This Bauble Bar bracelet stack was my favorite stack to wear last spring and summer. They have an almost identical one available this year that I have linked above. 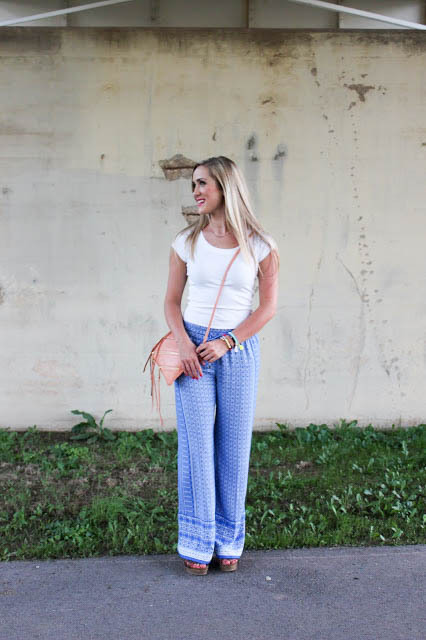 Blue is one of my favorite colors, and I loved wearing theses wide leg pants last year! I linked some similar ones from F21 above!